Myanmar (Burma) seems at last to be opening up to greater democracy, which is great news for everyone. Our years of experience offering private tours in Burma means that we understand the best ways to introduce travelers to the country’s well-preserved traditions and outstanding cultural attractions. Our 9-day Highlights of Burma tour is an ideal overview. Your own expert Artisans of Leisure guide will accompany you throughout your tour. Explore awe-inspiring Bagan, a vast plain covered with temples for as far as the eye can see. In Mandalay, tour local markets and artisans’ studios, and visit monasteries to learn about the Buddhist principles at the heart of Burmese culture. Experience the beauty of Inle Lake, including a private boat ride through traditional floating villages. And in Yangon, visit local markets, new art galleries, and spectacular pagodas covered in gold leaf and jewels. 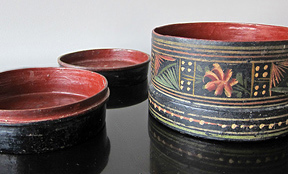 Read about Burmese lacquer on our blog. Other favorite Burma tours include Luxuries of Burma, featuring the Road to Mandalay, an Orient-Express cruise, and Arts & Crafts of Burma, which focuses on Burmese art, antiques and crafts such as ceramics, textiles and lacquer. Portugal is a cultural and culinary gem still waiting to be discovered by many travelers. Our carefully planned Portugal tours and excellent local guides give access to iconic Portugal experiences such as touring the atmospheric back streets of Lisbon, attending a fado performance, private wine and port wine tastings at local vineyards, and tracing echoes of Roman, Moorish and Jewish influences. We recently spoke with one of our favorite guides in Portugal and asked her to share what she loves showing our travelers when they visit her country. Q: What always surprises travelers when they visit Portugal? A: Travelers are always surprised by the fact that Portugal is such a varied and beautiful, unexplored country and nobody advertises it...and after all they think it was a great hidden secret. Q: What are some special places or experiences that you like to incorporate into touring? We’re happy to report that travelers are returning to Japan, one of the destinations closest to our hearts. Artisans of Leisure has an unparalleled level of expertise on luxury cultural travel in Japan--many of our travel experts have spent years living in Japan. We’ve introduced all new Japan tours for 2012, with a host of experiences and activities that will connect you with the best of authentic Japan. Some examples? 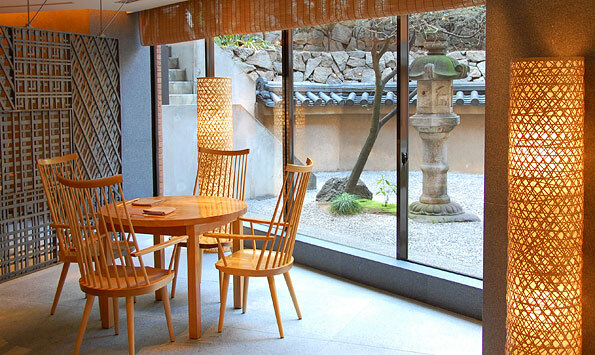 For traditional Japanese culture, we’ll arrange a private tea ceremony and access to private imperial gardens and the most interesting temples in Kyoto. For the best in Japanese cuisine, we’ll arrange an expert-led tasting tour or a private cooking class in an exclusive setting. If you’re interested in sumo, we’ll arrange for you to visit a sumo stable to watch wrestlers practice. To experience Japanese pop culture, we’ll take you to the Tokyo neighborhoods where teenagers gather to show off their latest—and zaniest—fashions. 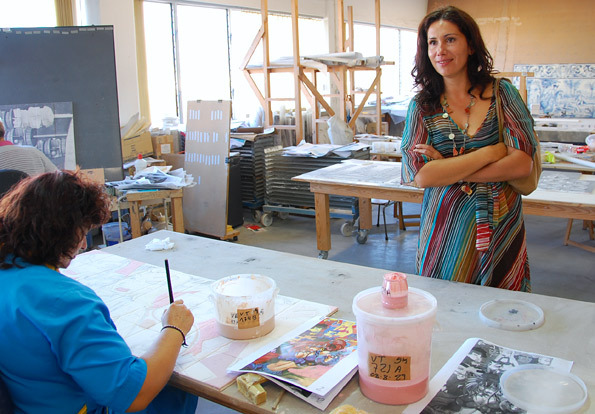 For art lovers, we’ll arrange for you to meet world-renowned craftspeople and National Living Treasures. And that’s just a start. Japan is especially popular during spring break, summer vacation, and the fall-foliage season, so now is the time to start planning. View our private tours of Japan, or contact us to get started. What makes Artisans of Leisure Italy tours the most luxurious available? On our trips, your own private driver whisks you from city to city in comfort and style. Expert local guides--most with a Ph.D. in history, archaeology or related fields, and all with that unique Italian flair--provide insight into cultural highlights, help you discover easily overlooked treasures, and adapt the touring to your pace and interests. We arrange for you to skip lines at the Vatican, Uffizi and other attractions throughout Italy. When it’s time for dinner, we make sure that reservations are waiting for you at the best--and most authentic--local restaurants. 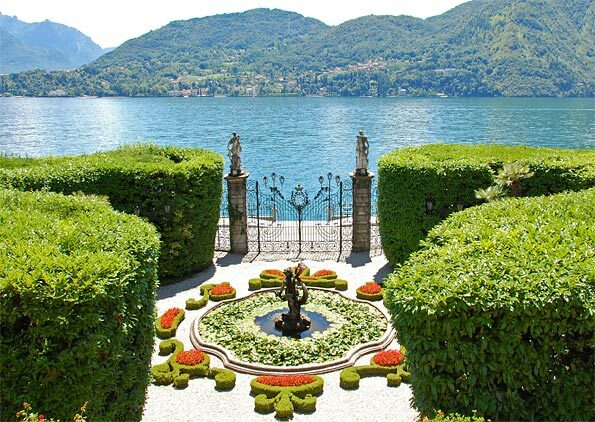 And at the end of the day, you can relax knowing that we book our favorite rooms at only the best hotels in Italy, including legendary properties such as the Four Seasons Hotel Florence, Hotel Cipriani in Venice, and Villa d’Este on Lake Como. For the ultimate Italy experience, consider one of our many popular Italy tours, such as Highlights of Italy, Exclusive Italy, Best of Sicily and Highlights of Puglia. 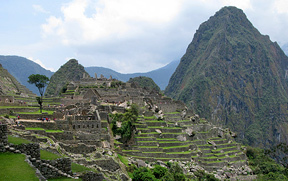 Artisans of Leisure travel expert John McGee has just returned from an incredible trip through Peru. His itinerary was similar to our Best of Peru tour—Lima, Sacred Valley, Machu Picchu, Cusco—plus spectacular Colca Canyon. Highlights of his trip—all of which are included on our Peru tours—were touring Machu Picchu with his private guide after most travelers had left for the day, bottle feeding baby alpacas, learning about the Inca and Spanish while walking through atmospheric Cusco, exploring the Inca fortress of Ollantaytambo, traveling through the spectacular landscapes of the Andes, riding the luxurious Hiram Bingham train from Machu Picchu to Cusco, and keeping an eye out for wild vicuna while driving through the literally breathtaking high-altitude landscapes between Arequipa and Colca Canyon. 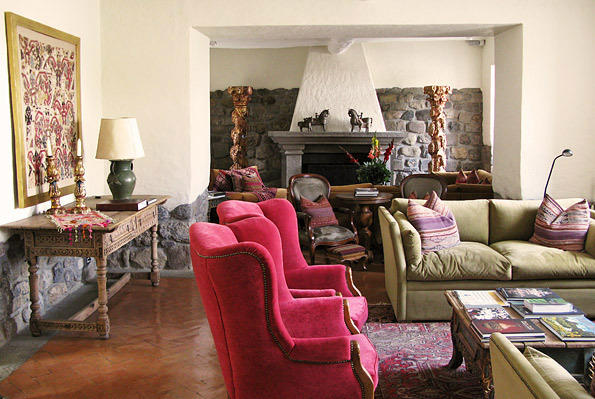 John also had an advance peek at the new, all-suites Palacio Nazarenas hotel in Cusco, which is due to open this summer. Set inside a renovated 16th-century building, it will bring even more luxury options to this unforgettable city. Read more about John's trip in Just Back: Peru on our blog. Peru is a truly impressive and rewarding destination on so many levels--culture, landscapes, food, folk art and more--making it a great option for almost any type of traveler. It’s easy to understand why Central Europe has become so popular among our travelers. The region is a virtual trophy case of vibrant, treasure-filled cities, including Vienna, Prague, Budapest, Berlin, Dresden and Krakow. We’ve combined the best of these destinations in our Central Europe tours, which include private touring of world-class art museums and beautiful landscapes, select tickets to outstanding classical music and opera performances, visits to upscale shops specializing in high-quality local products such as crystal and porcelain, visits to local markets, and reservations at restaurants that feature the best of the region’s excellent food and wine. 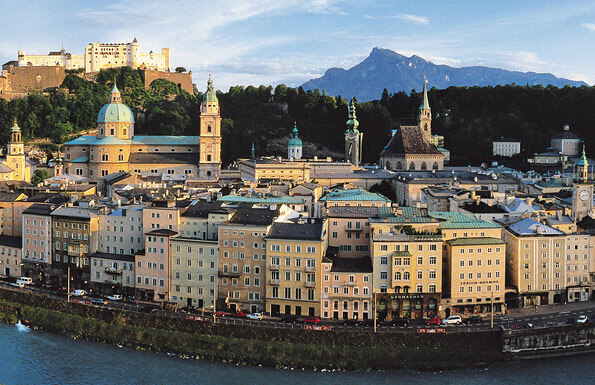 In addition, we can also incorporate special activities into any Central Europe trip, depending on your interests, such as a tour of the Volkswagen Transparent Factory in Dresden to watch cars being assembled, a private tour of the Meissen porcelain factory, behind-the-scenes tours of world-renowned concert halls and opera houses, tickets to special events such as the Salzburg Festival, tracing your family history in local records offices, private wine tasting and cellar tours, visits to local beer breweries, guided hiking in the Alps and the surrounding foothills, and in-depth touring related to modern design from the Wiener Werkstatte to the contemporary, and architecture from Baroque to Jugendstil to Post-Modern. Visit our website for more information about our tours in Austria, Czech Republic, Germany, Hungary and Poland. Find out more about what makes Artisans of Leisure so special on our blog. 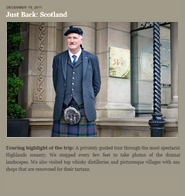 In Just Back: Scotland, read about family travel in Glasgow, Edinburgh, the Highlands and the Perthshire countryside. 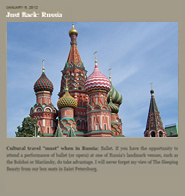 Just Back: Russia is a recap of favorite experiences in St. Petersburg and Moscow. 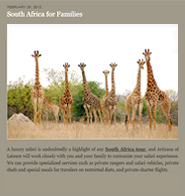 South Africa for Families outlines the myriad ways our safari tours are the most luxurious available, including personalized activities and exclusive safari lodge accommodations.